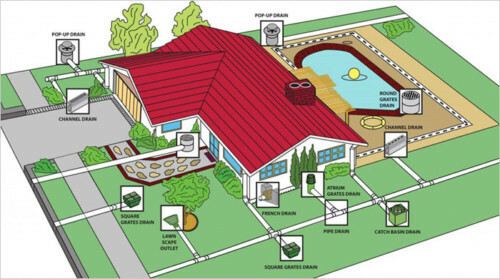 Improperly graded yards and poorly drained water can cause cracks to your home’s foundation, sinking patios, damaged walkways and driveways, kill your landscaping and plants, and put water in your basement. Sadly, lawn care water drainage problems go unfixed far longer than necessary. We have seen this time and time again in our geographical areas of focus in Wheaton, Glen Ellyn, Northern Napeville and surrounding suburbs. We provide water drainage and repair services to ensure water runs properly and legally, from your property. We can patch, replace or repair damaged brick work and sinking hardscapes in your landscaping. Whether it is a minor drainage issue, or improper grading leading to foundation damage, we’ll restore the good looks and value of your Wheaton, Glen Ellyn, Northern Napeville and surrounding suburbs landscaping.